I have heard the High Line described as the Central Park of the new generation. It is a public park built on a historic freight rail line elevated above the streets on Manhattan’s West Side. 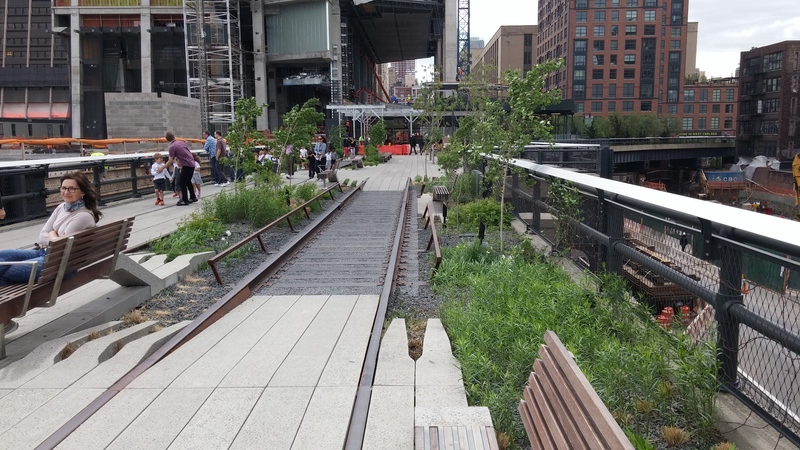 Converting each section of the High Line from an out-of-use railroad trestle to a public landscape entailed more than two years of construction per section in a multi-step process. The movement to save the High Line was catalyzed by iconic photographs of the self-seeded landscape that grew up when the trains stopped running that were captured by Joel Sternfeld in 2000, nine years before the park would open to the public. Joel’s photos showed the innate beauty of the High Line and inspired the local community to dream about what was possible. 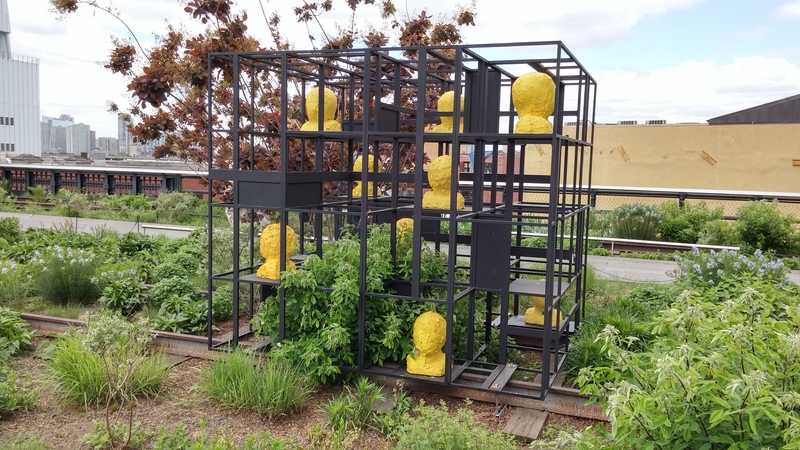 The High Line’s planting design is inspired by the self-seeded landscape that grew on the out-of-use elevated rail tracks during the 25 years after trains stopped running. The species of perennials, grasses, shrubs and trees were chosen for their hardiness, sustainability, and textural and colour variation, with a focus on native species. Definitely worth a visit if you are in town. We happened upon it when there was a range of site-specific work on display from a range of international artists. Very interesting to see how the different works resonated with the mix of urban and natural landscape. This entry was posted in 04.2 Exhibitions on 19 May,2015 by antalbot. 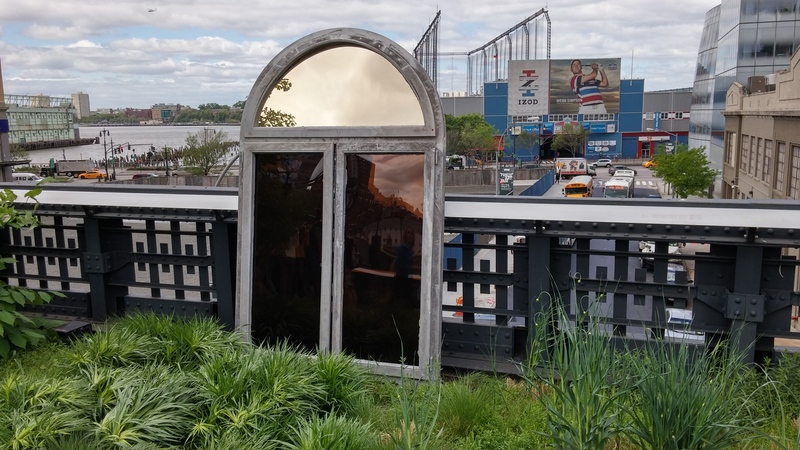 I do hope the art works are permanent as the highline is now one of the “must do” walks to do for me!